With March 14 only two days away, I thought it would be appropriate to talk about the edible chameleon that is pie. Non-mathematically inclined people like myself use the day as an excuse to eat the other kind of pie. Whether sweet, savory, big or small, pies are the perfect vessels for all kinds of delicious goodness. Personally, I love a good chicken pot pie or slice of apple, but my two favorites have to be a simple, but delicious pudding and blueberry pies. If you ever have the opportunity to visit Maine, go to the nearest diner (try Moody’s in Woldoboro or Maine Diner in Wells) and get a slice made with wild Maine blueberries (they’re smaller and much sweeter than their cultivated counterparts). 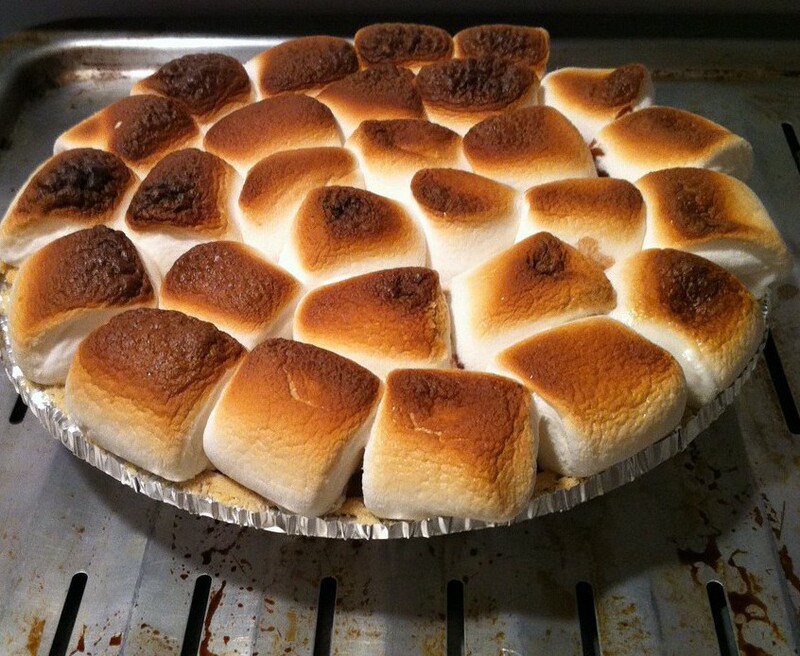 And for a different take on the classic pudding pie, make a s’mores pie. Get a bag of large marshmallows to place on top of an already set pudding pie, turn on the broiler (or if you’re fancy, a crème brûlée or butane torch) and melt/caramelized the marshmallow tops until brown. My sister made this last fall and it was so good.